Guest speaker, TJ Pridell, with ReferenceUSA will be hosting an interactive lead generation marketing seminar catering to the Enfield business community. 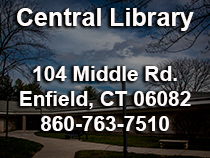 To accommodate the needs of business owners, sales & marketing representatives and job seekers, Enfield Public Library is offering a service called ReferenceUSA, an online provider of business and consumer research. ReferenceUSA helps library users create effective marketing plans, conduct essential competitive analysis, raise funds and locate people in order to expand & grow their book of business. The online database provides real-time access to more than 44 million businesses and 280 million consumers. Enfield Public Library cardholders may access this resource from within the library or at home or work with Internet access. The database features seven detailed modules of information: “US Business”, “US New Business”, “US Consumers/Lifestyles”, “US Standard White Pages”, “US Healthcare”, “US New Movers/Homeowners”, & “US Jobs & Internships”. Users can select a location and radius to search through a database of millions of businesses and locate direct business contact names. Many entries also include links to job postings. Students can utilize ReferenceUSA to find articles for research on businesses and find data summaries to profile neighborhoods, cities and states, as well as researching demographics by business type, sizes and median income. 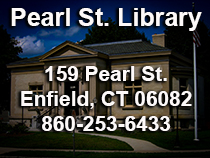 Users can access ReferenceUSA at https://www.enfieldpubliclibrary.org under “Research < Databases < Business & Law < ReferenceUSA” Members may log in by typing in their active library card number. For more information, please contact the Reference Department at 860-763-7511. Please join us to learn more about how you can assist your business in establishing and growing your book of business with ReferenceUSA!